Bring the wine, let's celebrate to no corkage fees! 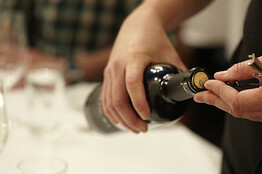 Corkage fees can be anywhere between $2 to $40 at most restaurants. But in lieu of the recession, most Bay Area restuarants have begun pulling their corkage fees to attract customers. Check out the Wall Street Journal article here.